The Ostrich belly plumes come in a hand selected 12 pack. Perfect for palmering or composite loops on streamers and spey flies. 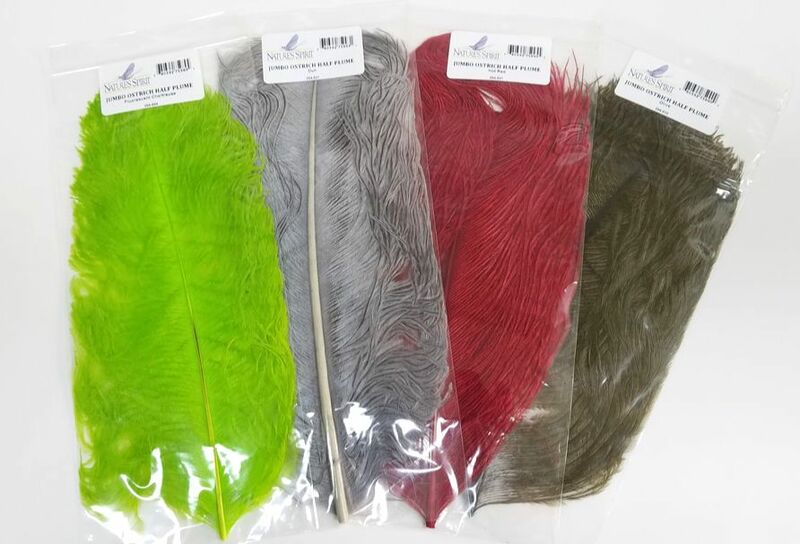 You can use them for tails and wing fibers too. 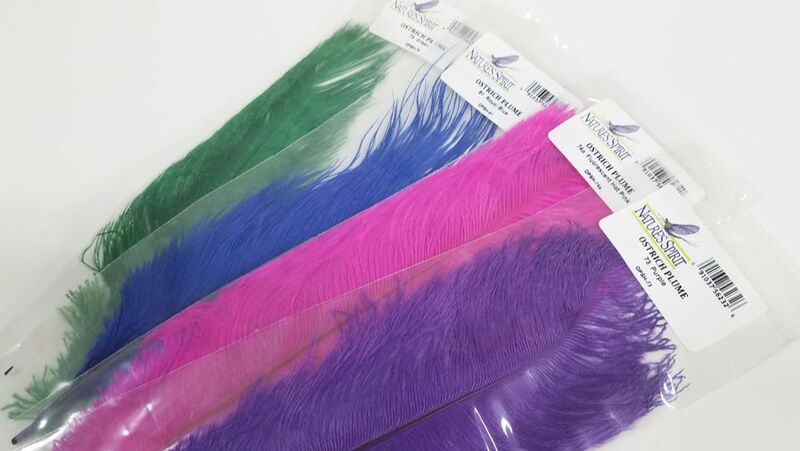 the 14-16 inch plumes provide a little more fluffiness to the fiber, along with a little more length for bigger flies. 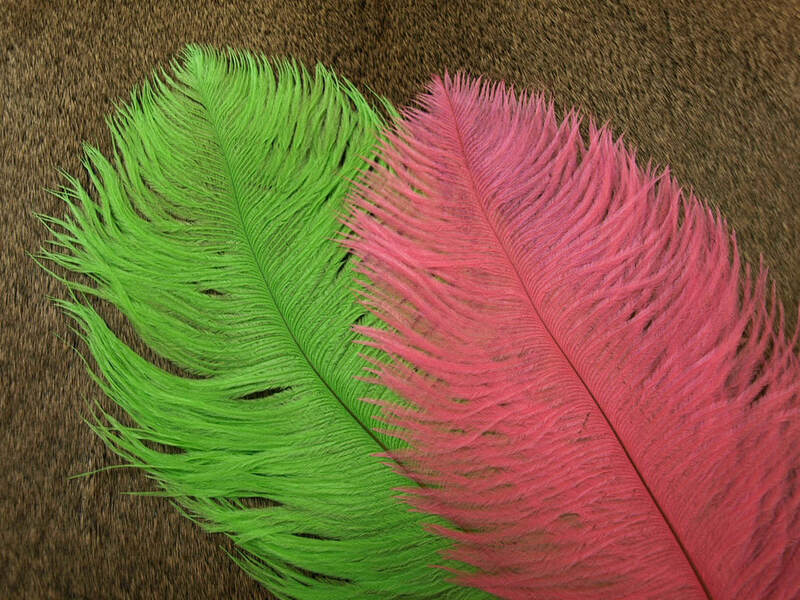 These are jumbo ostrich feathers that are cut in half. 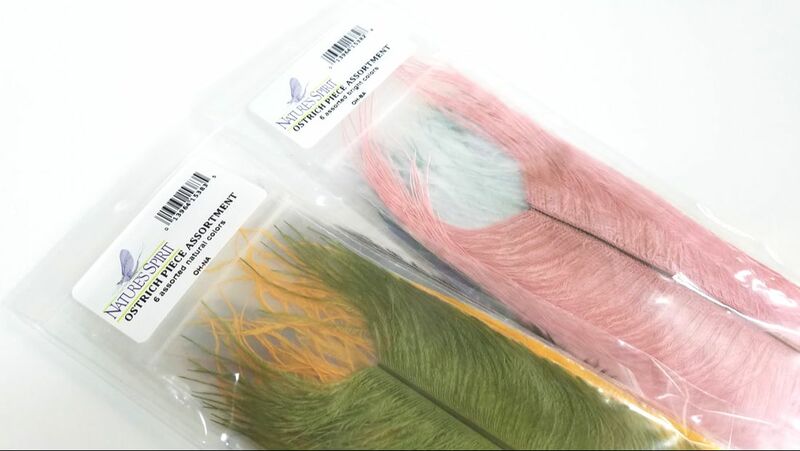 The jumbo's have very long and fluffy fibers for scuds, bigger nymphs, and perfect big streamer patterns. These are pieces that come off of the mid sizes plumes. These are perfect for when you do not need a full plume. Helping you expand your color range with out busting your bank. The Assortment packs are 6 pieces of light or natural colors. These make great starter packs for any fly tier.